Lately I have been very anxious about a lot of things. In June of last year, I learned that my company had been sold, and that our new parent company planned to absorb our business and eliminate our office. We all had the opportunity to accept a position at one of their other locations, but the closest one was still several hours away. With a young child, and a close-knit extended family, that isn’t an option for us. We were told that most of the company would be laid off in October. Fast forward several months, and I have now received a third extension notice. With several months to digest the news, I have had plenty of time to ponder and plan what my next move will be. And then think so more, change my mind, and decide on a different path. It seems with each new week, another process changes to help bring us closer to a full transition of business. The downside of that, is that each change seems to add more work to my small department, which causes stress, and makes us wonder if there will ever be an end to the work. I don’t mind the added work, or the temporary job security, and I don’t mean to complain, but it makes for an emotional roller coaster, day in and day out. With all of these ups and downs, it really has me thinking about the future, and getting anxious about the next step. Add onto that, the fact that our lease is up on our apartment in just a few months, and it is enough to keep me anxious 24/7. We have finally made the decision to stay in our small apartment one more year, but it wasn’t without disappointment that this decision was reached. With a growing little one, there is more and more stuff every time I turn around, and we seem to be very quickly outgrowing the 1000 square feet that we have to work with. All of this change has made me contemplate the past decisions that I have made, as well as the ones I am facing now, and will face in the future. But it came to me last night that maybe, just maybe, I am exactly where God wants me to be right now. Maybe this is all part of His plan for me. And even if it isn’t, I need to remember that He will still use whatever situation I am currently in to work in me, and mold me to the person He wants me to be. Maybe the same is true for you too? 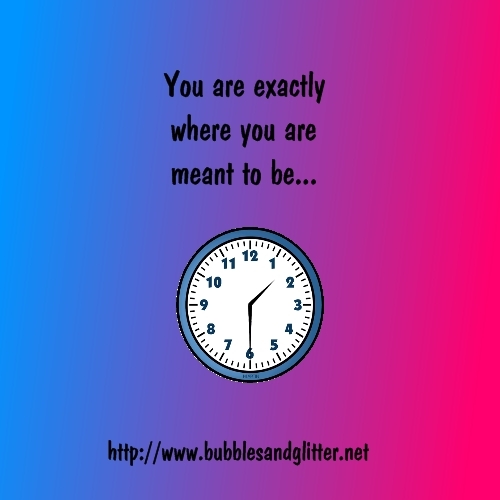 Maybe you are facing a difficult situation or decision, and it is making you question life. Let’s decide, today, to trust in God, and let him bring us through it! I’m not saying it is always easy to trust God, but I can promise you that if you will put your full heart into trusting in him, it will at least help to calm your nerves and things will start to look brighter! Are you currently facing a difficult situation? Have you recently come to some kind of revelation? I’d love to hear about it in the comments! Thanks for stopping by! Conversation Hearts Garland – FREE Printable! !